A new survey of 180 public sector professionals from all levels of government highlights that while government agencies are well aware of the network modernization issues they face, static budgets and tightened resources have limited their ability to respond. Click through for a look at the top trends, top challenges and projected timelines from the survey responses. 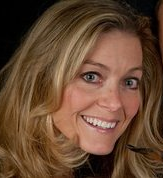 Renee Reinke (@Renee_Reinke) leads Ciena's vertical marketing for federal governments on a global basis, and has a background spanning engineering, product management and product marketing at several tier 1 U.S. service providers. The latest figures from analyst Gartner forecast a decrease in worldwide IT spending across a host of verticals for 2015. A new survey of public sector professionals seems to support this, suggesting that while government agencies are well aware of the cybersecurity issues they face, static budgets and tightened resources make combating this growing threat extremely challenging. These cyber threats, along with other macro trends in tech such as mobility and the advent of the cloud, have government IT departments re-evaluating their network infrastructure. Driven by the above network trends and challenges, many of these government organizations are turning to network modernization to help meet their bandwidth and budget challenges head-on. When asked what obstacles they face with implementing network modernization in their organizations, respondents cited budget and resources (70%), IT constraints (48%), and a lack of personnel and related skills (44%) as their major hurdles to embracing new technology. Without a doubt, these are large challenges for those operating within the public sector; however, survey respondents appeared to be working past these hurdles in an effort to modernize their networks. 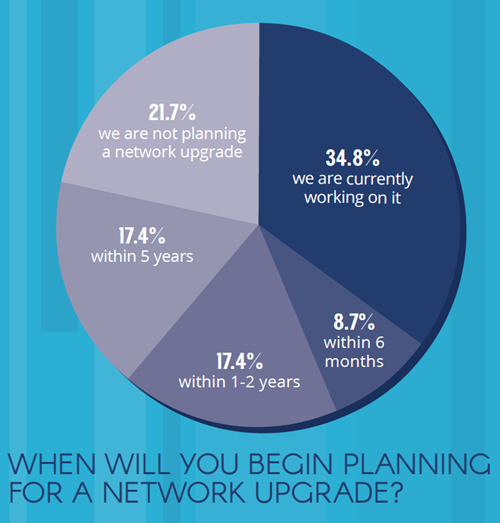 Nearly 35% of those surveyed indicated they were currently working on a network upgrade, while 9% had an upgrade planned within the next six months. A slightly larger percentage of respondents (22%), however, had no plans to upgrade their networks. To ensure mission success for network modernization, agencies must understand both the trends and challenges from the outset. With a portfolio full of network modernization services and the capability to support your agency through every step of the process, Ciena can help you make the move to network modernization. To learn more about modernizing your government network—and to better understand the landscape of implementation challenges in the local, state, and federal spaces—download the GovLoop research brief, Accelerating Government Transformation with Network Modernization, today.